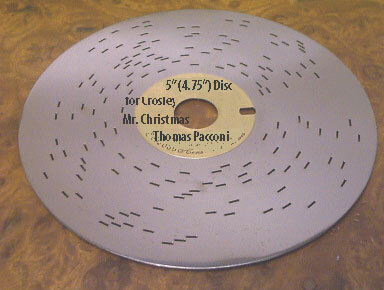 New Metal Discs 5" (also known as a 4.75" disc) for Mr. Christmas(R), Crosley, and Thomas Pacconi Music Boxes. Please scroll down to view a list of available tunes. If you don't see a tune you are looking for, email us.